According to a deal between HDFC and Quikr, a stake of more than 3 percent will be given to the mortgage giant in return to its transfer of offline and online real estate brokerage business to the classified ads platform. acquiring Commonfloor in 2016 Quikr already has a major presence in online real estate broking. “Most of the searches for real estate are moving online. Quikr has a much bigger presence online. Through this deal, we are partnering Quikr in the broking business,” said HDFC MD Renu Sud Karnad. According to her, this deal will strengthen Quirks position with offline support. 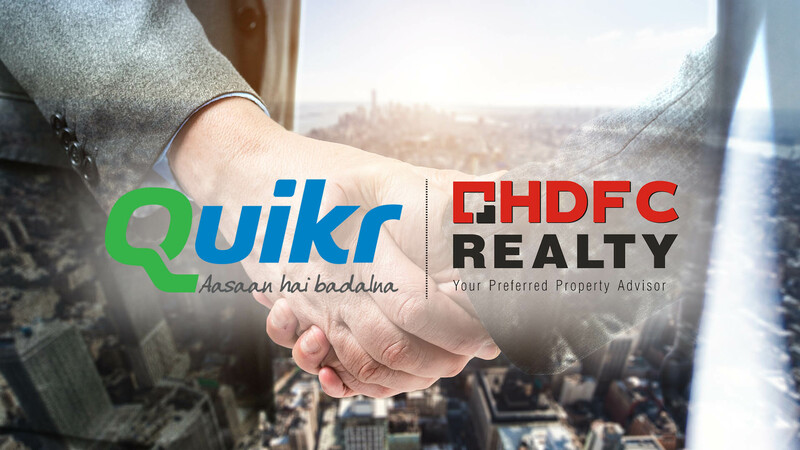 The deal suggests that HDFC will transfer to Quikr its entire shareholding in HDFC Realty, a real estate brokerage platform, and HDFC Developers, which runs the HDFC RED online platform. Karnad added that the deal expects Quikr to generate home loan leads for HDFC. The transaction consists of a co-branded alliance between both parties and the HDFC brand will continue to be used online for a year. The e-real estate classifieds platform HDFC RED has around 7,000 project listings and generates traffic of over 80,000 unique visitors per month. HDFC Realty has a 300-member, in-house sales team, and 7,000-strong nationwide broker network. Avendus Capital was the exclusive financial adviser to Quikr while Kotak Investment Banking acted as the exclusive financial adviser to HDFC on this. 30 million monthly users make Quikr India’s largest classifieds platform. It runs multiple vertical businesses across real estate, automobiles, jobs, services, and goods. The Quikr Home, its real estate vertical generates 3.5 million monthly unique visitors.